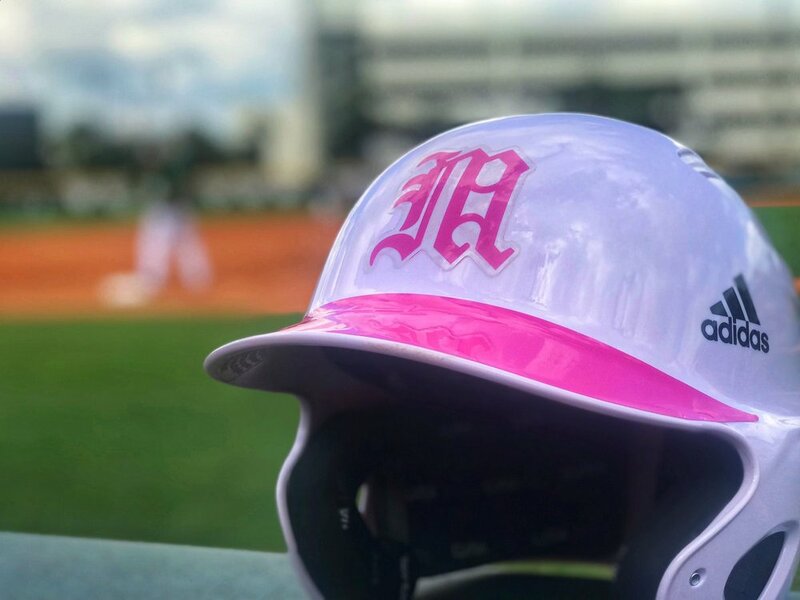 The Hurricanes will take the diamond in a special Breast Cancer Awareness uniform. the team will trade in their typical orange and green for pink and white for the cause. 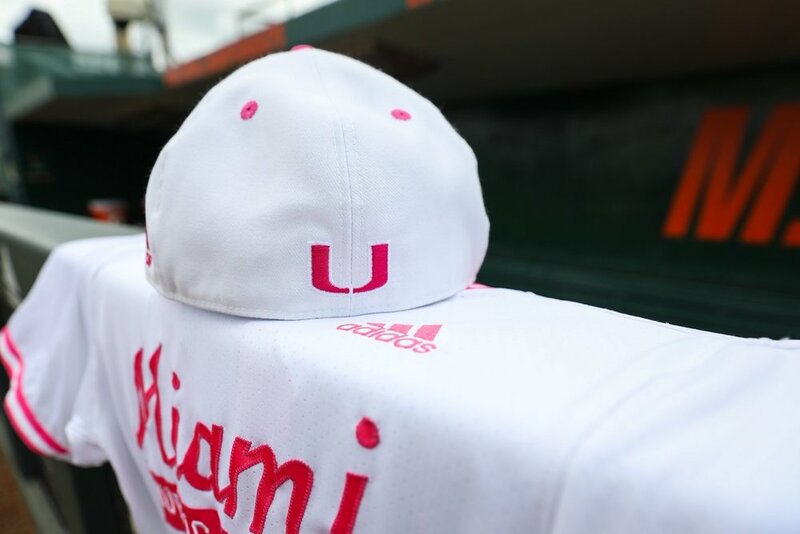 The team’s hats will come in all white with a pink Miami M on the front and pink U on the back. 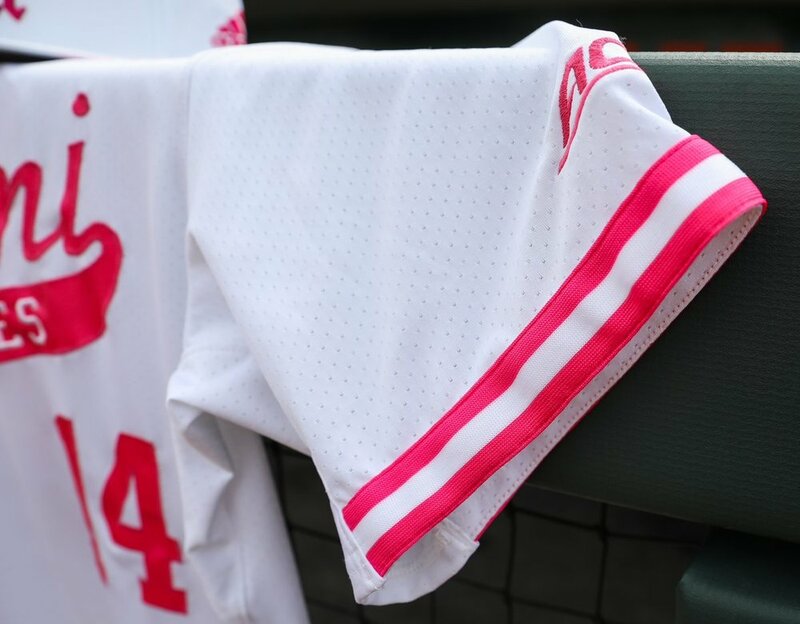 The white jerseys are highlighted by the Miami script across the chest accompanied by pink stripes on the sleeves and pink numbers. 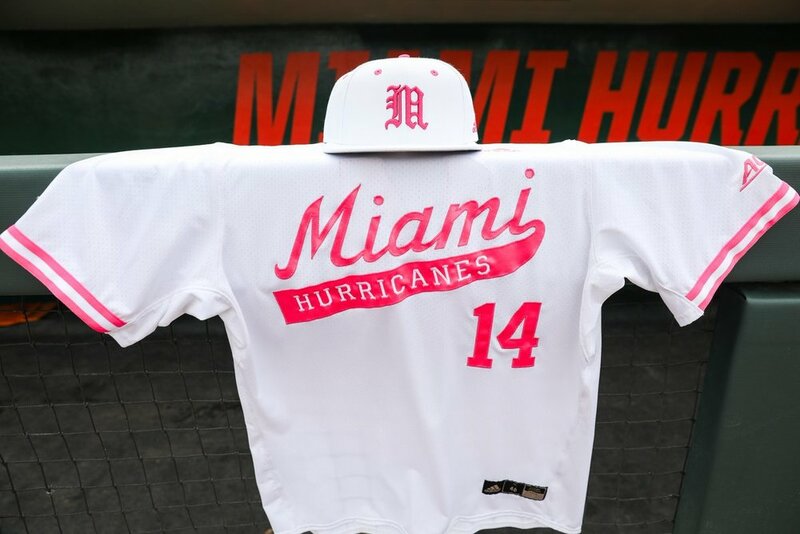 The Hurricanes have put together a great uniform to support a great cause.